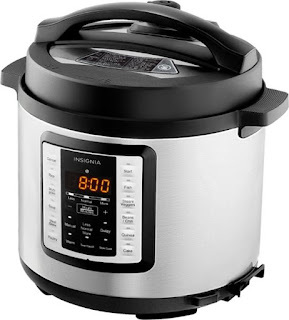 Today, January 20th only, head over to Best Buy to score this Insignia 6-Quart Multi-Function Pressure Cooker in Stainless Steel for just $29.99 (Retail $99.99)! This highly rated pressure cooker makes it easy for you to make generous portions for your family. It features an automatic keep-warm function and 24-hour delay timer to accommodate busy schedules and provide flexibility in meal times. It also has 14 preset options so that cooking is as simple as pushing a button. Plus, it includes a rice ladle, soup ladle, and a measuring cup!